I originally put this on my list in order to expand the number of “easy week night dinners” that I knew. I love the idea of a slow cooker – of putting your ingredients in it the morning before work and then coming home to a ready made (& home cooked!) dinner. The truth is I don’t cook that often though so I didn’t really know where to begin with slow cooker recipes. When I began researching slow cooker recipes I was surprised by how many different things you can cook with a slow cooker. 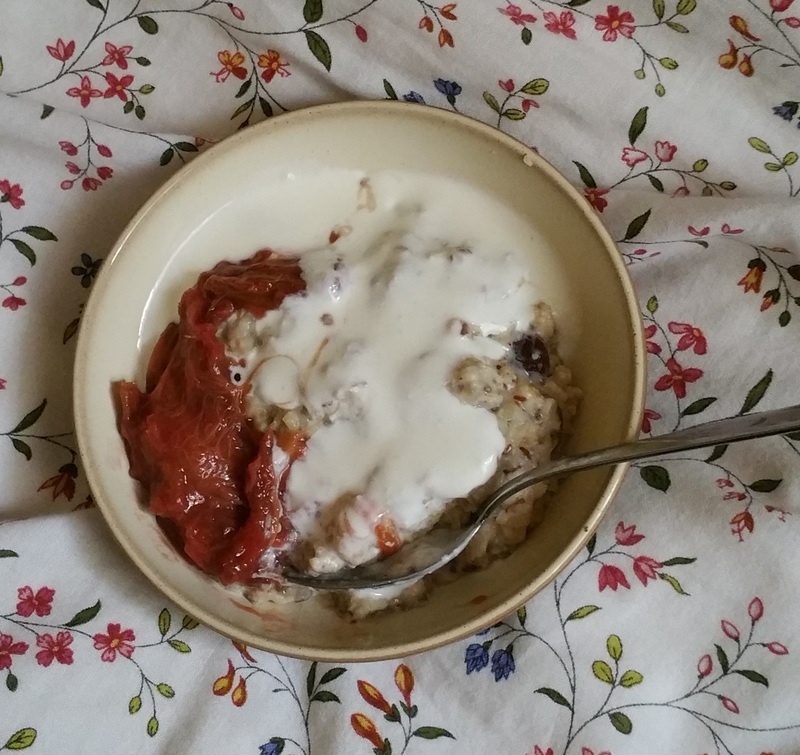 I immediately decided that I would have to show a little more variety with my slow cooker recipes – and that would begin with the first one, home made slow cooker yoghurt! I used this recipe from That Mama Gretchen. In my picture I have it over porridge with stewed rhubarb. The yoghurt is runny but tastes fantastic – it is plain, natural yoghurt so you can use it with sweets or savoury. If you strain it for a longer period of time you can thicken it up but I was impatient so only strained it for maybe an hour or two. I used no fat milk but if you use whole milk you may get a creamier consistency. All in all I am very happy with how it turned out!